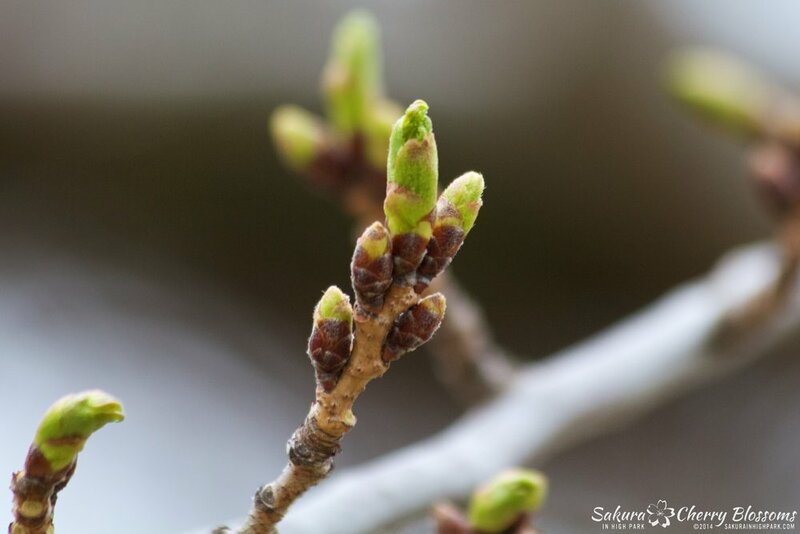 Sakura Watch, May 5, 2014 - Progress to date pushes up bloom to begin later this week was the pleasant surprise seen today from the many buds that have advanced to the elongated latter stages of bloom development. This will definitely secure my original estimate of seeing blooms to start over the Mother's Day weekend - May 9 to 11 - following by the peak bloom is still too likely occur over the following May 12-19 week, weather permitting. With such a pleasant surprise to see just how many buds have progressed to the later stages it was also with hesitation to the amount of blossom we will see this year as many buds are still in the earlier green stages, with many shaped more long and slender instead of plump and round. The few of these that are opening seem green and possibly could be leaves instead of blossoms altogether which will be disappointing for many of us if true. Monitoring these more closely over the next few days will help decipher what these buds will produce this year. Near the sports fields / Bloor St main entrance - currently it seems 30% of buds are showing advanced, elongated stage and set to bloom by the end of the week or over the weekend. The majority of buds are long and green and still have time to progress. Trees on either side of the road towards the High Park Hill Trail - 20% of buds showing advanced, elongated stage and set to bloom by the end of the week or over the weekend. The majority of buds are long and green and still have time to progress. 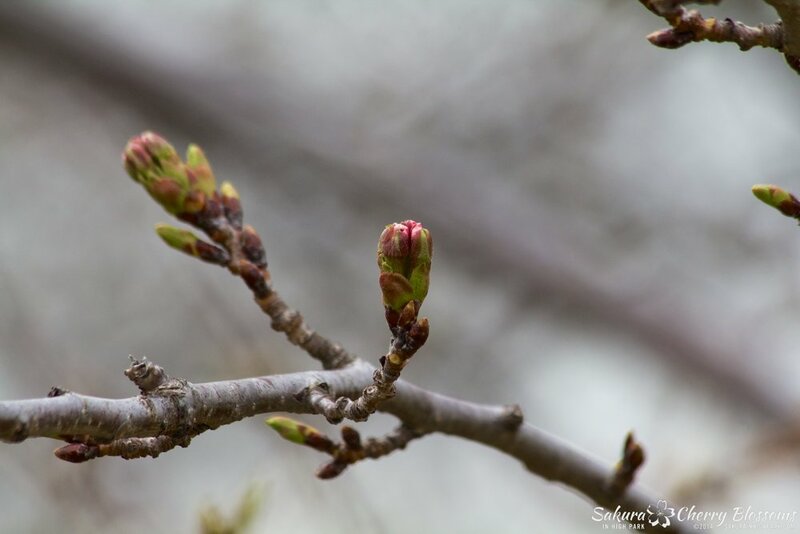 Trees along High Park Trail and near Grenadier Pond - 30% of buds showing advanced, elongated stage and set to bloom as early as Wednesday May 7 and continue over the weekend. The majority of buds are long and green and still have time to progress. Trees between the playground and zoo - 10-15% of buds showing advanced, elongated stage and set to bloom over the weekend. Majority of the buds in this area are in the earlier green and round stage. Can anyone guess which area of the park will see the first blossom for 2014?